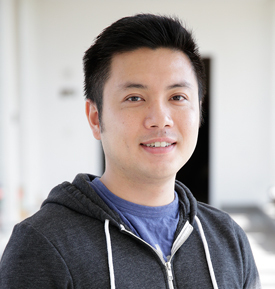 Thang Le joined Industrial Light & Magic in 2009 as a Concept Artist. Prior to ILM, he worked on a wide variety of projects in fields ranging from animation and design for theme parks, to video games and commercials. The projects included work for Lucasfilm Animation, Walt Disney Television Animation, Warner Brothers Animation, Walt Disney Imagineering and Paramount Pictures. As a Visual Effects Art Director at ILM, Le is responsible for leading a team of concept artists and designing and illustrating environments, vehicles, machines and characters. Some of his more recent projects have include Tomorrowland, Marvel’s The Avengers and Battleship. Le is a graduate of Art Center College of Design with a degree in Transportation and originally hails from Carlsbad, California. He currently resides in San Mateo, California.